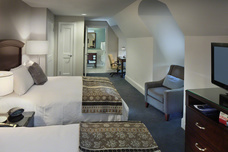 The Andover Inn features 30 rooms and suites including rooms with one king, one queen or two double beds. Updated in every way, each room offers luxurious style while still maintaining the New England charm everyone loves about Andover. Each room features complimentary Wi-Fi, flat screen HDTV’s, pillow top mattresses, luxury 100% cotton Frette® linen, terry towels, a writing desk and chair, Keurig® coffee maker and glass shower doors. 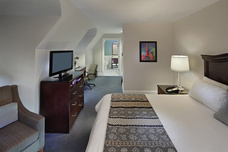 Every room enjoys a gorgeous view of the surrounding Phillips Academy campus. Guests that prefer a slightly larger space and bed type find our King rooms to be their room type of choice. King rooms typically feature a comfortable chair for relaxing and provide just the right amount of space for both the business traveler and couples. Each King room is different from the next giving our guests a truly unique experience. 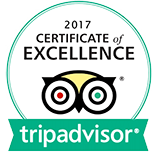 Our standard double bedded room features two double beds with luxurious pillow top mattresses for your total sleeping comfort. This cozy room has ample workspace and a chair for relaxing. 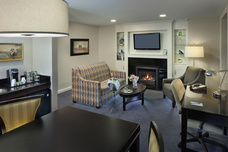 This room type is the ultimate choice for leisure travelers visiting the Andover area or parents visiting their children at Phillips Academy. Relax and get comfortable in a spacious two-room Queen Suite at the Andover Inn. These cozy two-room suites offer wonderful views to relax and take in the surrounding campus of Phillips Academy. This two-room suite features a parlor living area with a gas fireplace, dining area with mini refrigerator, and a wet bar ideal for both family travel and an extended stay. Four ADA-compliant accessible rooms are available upon request. Select rooms are also equipped with hearing-impaired devices. Complimentary parking is available for all guests of the Inn. An electric vehicle charging station is also available.